Jason “the Specimen” Soares and Luis “el Tigre” Gomez are both champions coming into this fight of different promotions (Fight Time and Titan FC respectively). In this fight, both men showed how tough they were and definitely belonged on a UFC card. 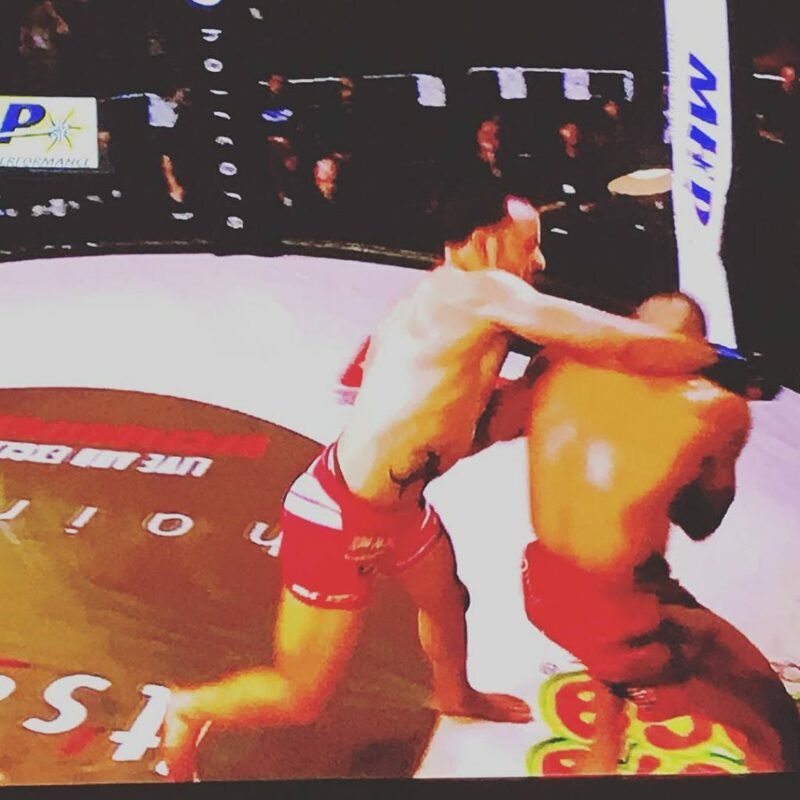 Luis wasted no time as he put the pressure immediately and got caught Jason with a hard right early in round 1 that forced Jason to go defensive and pull guard to recover. Luis backed away to get the fight back to the feet, and then Jason was able to secure multiple take downs off the fence and got some good slams, stealing the round with some solid ground and pound. Round 2 was similar, in that Luis controlled the stand up and Jason controlled the ground. Round 2 was closer, but the commentators felt Jason stole it once again (and so did I). In round 3, Jason went for a take down early that Luis was able to counter and end up on top. He worked a bit more from top before letting Jason up. Jason got rocked with another right hand and went to guard, but once again Luis let him up. Jason lunged for one more take down that Luis somehow escaped in a crazy scramble where Jason had a heel hook momentarily. From bottom though, Jason was able to use rubber guard to hold Luis and prevent him from landing any meaningful strikes. On the score cards it was 2 rounds to 1 Jason, but Luis had stolen the momentum in round 3. In the corner, my brother had been urging Jason to throw his right hand and be the aggressor, as Luis had been the one pressuring the whole fight from the feet. Right off the bell in round 4, Jason pushed forward and hammered Luis Gomez with a hard right hand. Gomez stumbled back and Jason slammed another right hand that forced Gomez to the canvas. Immediately Jason was already on his back with hooks in, and was able to secure the short choke for the win. It was easily the fight of the night, and the crowd was electric! Kudos to Luis Gomez for one of Jason’s toughest fights to date. He is only 21 years old, so I’m sure his future will be bright. I am grateful for our excellent corners: my brother Marcos Avellan (who called for the right hand and got it in round 4), Edgard Plazaola (who got the champ ready), and Leah White (a proud mom that stands by her son). Jason is now 11-0, with 8 submissions, 1 KO, and 2 145lb titles (Fight Time and Titan FC). At this point, we are waiting for a call from the big show, and as Titan FC is a feeder league for the UFC, we are optimistic that he will be in the big show next! I will be back home in Las Vegas early Wednesday morning, and have some new projects in the works to announce shortly. Stay tuned! By the way, if after watching the video of Jason’s fight, you might think Jason is a ninja (he might be). If you want to learn how to take the back and finish like him, check out his DVD and Online Course, the Back Attack Series. I have never seen someone break down one position and one technique as proficiently as Jason. He is an expert at the back mount and the rear naked choke, having won 8 MMA fights by way choke. The first DVD is almost completely dedicated to just the rear naked choke.